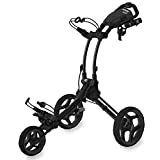 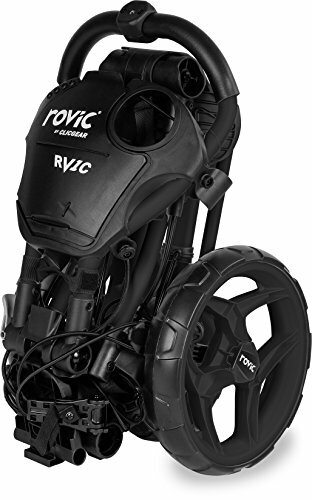 The Clicgear Rovic RV1C is a robust and easy to use golf trolley with a lightweight aluminium frame and a stylish multi-feature console. The unique arc frame of the trolley is equipped with a quick fold button that enables the user to easily fold away the trolley to a compact size for easier transportation when not in use. 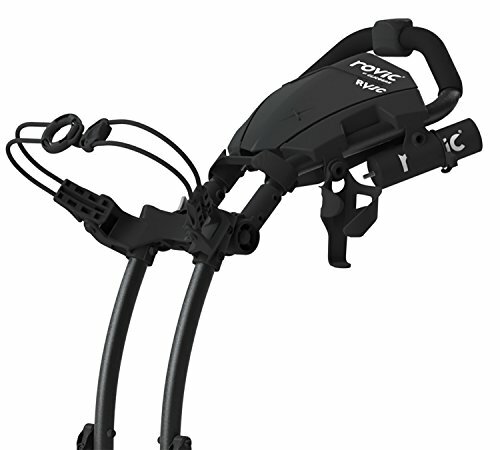 The Rovic RV1C incorporates many conveniences such as a hand break, a built-in accessory storage, an umbrella holder and a drinks holder. It also comes with strong adjustable bag straps, 2 accessory tabs and a soft grip handle for extra comfort. 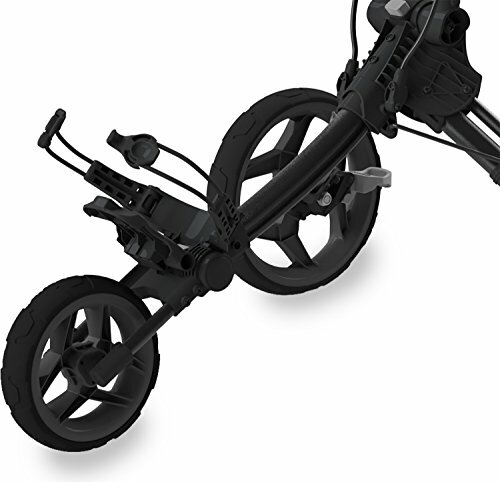 The trolley can be easily manoeuvred over varied terrains, which is ensured by wheels with posi-lock brakes.